W. Bruce Cameron, author of A DOG'S PURPOSE and 8 SIMPLE RULES for DATING MY TEENAGE DAUGHTER, celebrates the release of The Midnight Plan of the Repo Man on November 10. However, we are actually pre-celebrating. When you pre-order The Midnight Plan of the Repo Man during October, $4 of the sale will go to Villalobos Rescue Center. Ruddy McCann, former college football star, now Kalkaska, Michigan repo man, has a fairly simple life repossessing cars, hanging out with his dog Jake, and working at the bar his sister inherited from their parents, enjoying the nightly company of friends and all of their colorful patrons. Simple, that is, until he starts hearing a voice in this head. The voice introduces himself as Alan Lottner, a real estate agent who was murdered eight years ago. Ruddy fears he’s contracted the dreaded Repo Madness—a condition brought on by the constant stress of repossessing the often-hidden cars of irate, not to mention non-paying, owners. But what if Alan is real? He sure sounds like he is. Ruddy’s mind is spinning just thinking about it, and to complicate matters even more, it turns out Katie, the girl he is falling for, is Katie Lottner—Alan’s daughter. Rudy's attentions would be better spent helping his sister keep the Black Bear afloat and wrapping up a particularly trying repo job. But it's hard to avoid the voice literally stuck in his head, and soon Rudy is trying to figure out what happened to Alan and trying to avoid the same fate himself. W. Bruce Cameron is the bestselling author of A Dog’s Purpose, (a USA Today bestseller that also spent a year on the New York Times bestseller list with a movie by Dreamworks in the works), and its New York Times and USA Today bestselling sequel, A Dog’s Journey. A Dog’s Purpose and A Dog’s Journey have been absolute success stories with over 325,000 “Likes” on the A Dog’s Purpose Facebook Fan page and countless readers who have fallen in love with their moving tales. He’s also the author of 8 Simple Rules for Dating My Teenage Daughter, which was turned into the hit ABC series; Emory’s Gift, and The Dogs of Christmas, which Fox 2000 recently acquired the rights for producer Wyck Godfrey and Marty Bowen's Temple Hill (Twilight, The Fault in Our Stars). He has written for television and wrote, along with his wife and co-writer Cathryn Michon, the feature film Muffin Top: A Love Story, which will be released in 2014. Cameron was also named 2011 Newspaper Columnist of the year by the National Society of Newspaper Columnists. 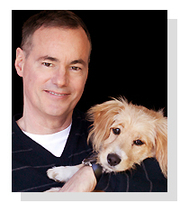 To learn more about W. Bruce Cameron and his work, visit: brucecameron.com and adogspurpose.com. PLEASE NOTE THE FUNDRAISER INCLUDES HARDCOVER AND AUDIOBOOK PRE-ORDERS (PLUS BOOKS SOLD AT THE EVENT) ONLY! Ruddy McCann, former college football star, has experienced a seismic drop in popularity; he is now Kalkaska, Michigan's full-time repo man. His best friend is his low-energy Basset Hound Jake, with whom he shares a simple life of stealing cars. Simple, that is, until Ruddy starts hearing a voice in his head. The voice introduces himself as Alan Lottner, a dead realtor. To complicate matters, it turns out Katie, the girl he's fallen for, is Alan's "daughter." Receive a free Midnight Plan of the Repo Man tote bag and a Dogs of Christmas ornament at this event (while supplies last)! Plus, enter for a chance to win an exclusive Midnight Plan of the Repo Man short story, in which Ruddy meets his lazy but loveable Basset Hound! The author of the bestselling 8 Simple Rules for Dating My Teenage Daughter (which was turned into a hit television show on ABC), W. Bruce Cameron is also renowned for his wildly popular “dog-centric” novels—most notably, the New York Times and USA Today bestselling A Dog’s Purpose (which spent a year on the NYT list) and its equally successful sequel, A Dog’s Journey. Naturally, there is a dog in Cameron’s latest endeavor. In his newest novel The Midnight Plan of the Repo Man — set in Michigan — he delivers a wonderful story about finding the truth, finding love where you least expect it, and finding yourself. Cameron’s penchant for witty dialogue, strong characters, and ingenious plotlines shines through on every page, drawing readers deep into the seemingly ordinary life of one repo man—until he starts hearing a voice in his head...a voice claiming to be that of a dead man...that changes his life forever. A sweet romance, a suspenseful plot, vibrant characters, and a hero you can’t help but fall in love with, The Midnight Plan of the Repo Man is a laugh-out-loud, keep-you-on-the-edge-of-your- seat, delightful read. EVENT OVERVIEW: W. Bruce Cameron, will celebrate the publication of his new novel The Midnight Plan of the Repo Man. SPECIAL NOTE: For every copy of The Midnight Plan of the Repo Man ordered through October 28, 2014 we will donate $2.00 to Wayside Waifs, and W. Bruce Cameron will match this amount! ABOUT THE AUTHOR: W. Bruce Cameron is the bestselling author of A Dog’s Purpose, (a USA Today bestseller that also spent a year on the New York Times bestseller list with a movie by Dreamworks in the works), and its New York Times and USA Today bestselling sequel, A Dog’s Journey. He’s also the author of 8 Simple Rules for Dating My Teenage Daughter, which was turned into the hit ABC series; Emory’s Gift, and The Dogs of Christmas, which Fox 2000 recently acquired the rights for producer Wyck Godfrey and Marty Bowen's Temple Hill (Twilight, The Fault in Our Stars). He has written for television and wrote, along with his wife and co-writer Cathryn Michon, the feature film Muffin Top: A Love Story, which will be released in 2014. Cameron was also named 2011 Newspaper Columnist of the year by the National Society of Newspaper Columnists. ABOUT THE NEW BOOK: Ruddy McCann, former college football star, has experienced a seismic drop in popularity; he is now Kalkaska, Michigan’s full-time repo man and part-time bar bouncer. His best friend is his low-energy Basset hound Jake, with whom he shares a simple life of stealing cars. Simple, that is, until Ruddy starts hearing a voice in his head. The voice introduces himself as Alan Lottner, a dead realtor. Ruddy isn’t sure if Alan is real, or if he’s losing his mind. To complicate matters, it turns out Katie, the girl he’s fallen for, is Alan’s daughter. When Alan demands Ruddy find his murderers, Ruddy decides a voice in your head seeking vengeance is best ignored. When Alan also demands he clean up his act, and apartment, Ruddy tells him to back off, but where can a voice in your head go? With a sweet romance, a murder mystery, a lazy but loyal dog and a town full of cabin-fevered characters you can’t help but love, New York Times bestselling novelist W. Bruce Cameron’s The Midnight Plan of the Repo Man is yet another laugh-out-loud, keep-you-up-late, irresistible read. DATE & TIME: Tuesday, October 28, 2014 from 6:30 - 8:30 PM. LOCATION: Rainy Day Books in The Fairway Shops, 2706 W. 53rd Street, Fairway, KS 66205. EVENT FORMAT: W. Bruce Cameron will visit with fans and autograph copies of his books. ADMISSION PACKAGE: $24.99 plus tax, includes one Hardcover copy of The Midnight Plan of the Repo Man, One Autographing Admission Reservation, and One Guest Reservation (if needed). It’s your choice, for the same price. If you would like to Pick-Up your Admission Package at the Door of this Event, then in the "Shopping cart" go to "Checkout" and in "Store Pick-Up Options" Check the Box to "I would like to pick this Order up at the Store" and at the bottom of the webpage in the "Order comments:" Field, type that you would like "At-Event Pick-Up." Your Order will be held by your Name at the Will Call table. The cut-off time for Online Ordering is 2:00 PM on the Day of the Event. A dog's-eye commentary on human relationships and the unbreakable bonds between man and man's best friend. This moving and beautifully crafted story teaches that love never dies, that true friends are always here, and that every creature on Earth is born with a purpose. W. Bruce Cameron on tour for A Dog's Purpose. W. Bruce Cameron's book Emory's Gift was available from LibraryThing Early Reviewers. W. Bruce Cameron's book A Dog's Purpose was available from LibraryThing Early Reviewers. W. Bruce Cameron is currently considered a "single author." If one or more works are by a distinct, homonymous authors, go ahead and split the author. W. Bruce Cameron is composed of 2 names. You can examine and separate out names.